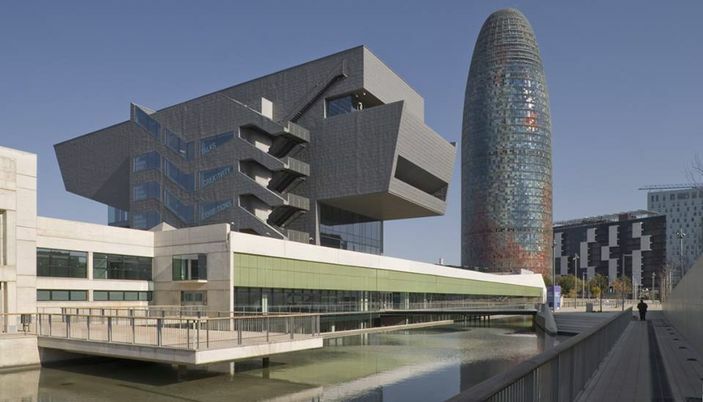 How to visit the district of El Born ? Pensioners play cards, young people discuss at the edge of the fountains. Strange atmosphere. Don't doubt to go into the little streets to breathe the old Barcelona. Charged with history, witness of the commercial prosperity of XIII century, El Born forms with the Barrio Gótico the old city of Barcelona. "Palau de la Música Catalana" (Music Palace), is a concert hall designed by the architec Lluís Domènech i Montaner and opened in 1908.This building is the headquarters of "Orfeó Catala", a prestigious institution grounded in the year 1891 to support Catalan music and culture. This is why the decoration of building shows some representations of the "quatre barres" (which is the Catalan coat of arms). Inside all the scene is an sculpture representing in one side the "Ride of Walkiries" and in the other side, the figure of Beethoven, sculpted by Pau Gargallo and Dídac Massana.The splendid central glass light on the roof was made by Rigalt and Granell. The façade is made in red brick and decorated with mosaics from Lluís Bru. 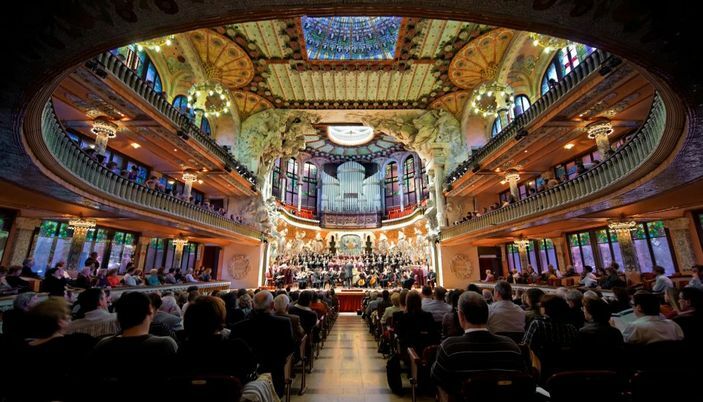 The Palau de la Música Catalana organises daily guided tours of the Modernist Concert hall and, when available, Lluís Millet Hall and the Chamber Music Hall. 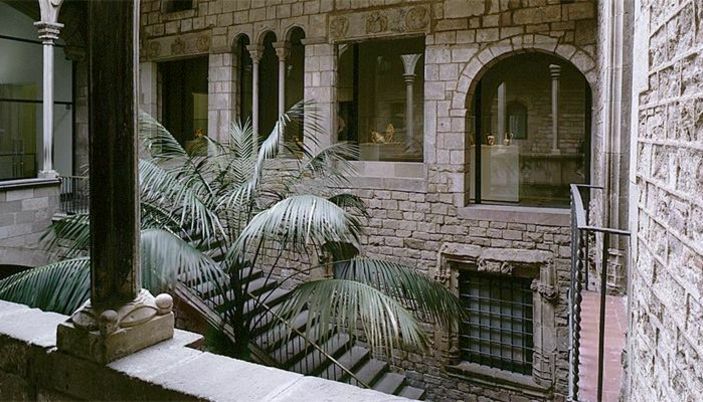 The Picasso museum is "the" museum to visit in Barcelona. For the artist and for the building.Imagine in Montcada street, in the Gothic area, five medieval palaces linked together to make a museum. So charming to visit and a very fast immersion in Catalan ambient.Concerning Pablo Ruiz Picasso the museum is indispensable for understanding its formative years. The genius of the young artist is revealed through the more than 3,500 works that make up the permanent collection.It also reveals his relationship with Barcelona: an intimate, solid relationship that was shaped in his adolescence and youth, and continued until his death..
You will remember corrida drawing.You will also enjoy some oils and drawings from Picasso's Barcelona period and even some works from later stages in his career. The Museum also has a set of 42 pieces of ceramic (vases, dishes and plates) made in the 1950s and bequeathed by Jaqueline Picasso in 1982.You will appreciate the open-air terrace café restaurant and the bookshop. The Palace of the marquis of Llio preserved his initial structure. This museum recalls the evolution of the textile art in 1500 years. The Textile and Clothing Museum occupies two adjacent buildings: the Palau Nadal and Palau dels Marquesos de Llió; the latter retains some of its original 13th-century wooden ceilings. Items on display here include medieval Hispano-Arab textiles, some liturgical vestments and the city’s embroidery and lace collection. The real highlight, though, is the fashion's history – from the baroque to the 20th century – that collector Manuel Rocamora donated in the 1960s, and which is one of the finest collections of its type anywhere. Recent important donations include one from Spanish designer Cristóbal Balenciaga, who is famous for the 1958 babydoll dress and pill-box hat. The museum shop is a great place to pick up presents, and there’s a nice café outside in the courtyard. Santa Maria del Mar is a Gothic church from the XIV century, located at the seaside, was built as a private initiative on the wealth accrued from overseas ventures by the inhabitants of La Ribera. The stained glass windows of this basilica, dating from the 15th and 18th centuries, are very famous. From the outside, Santa Maria gives an impression of massive severity that belies the interior. 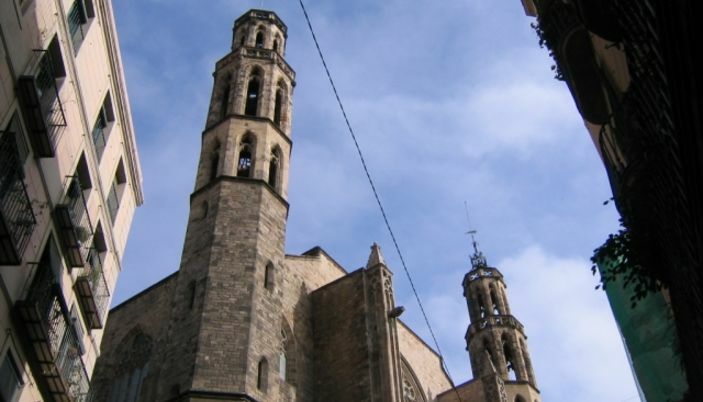 It is hemmed in by the narrow streets of the Ribera, making it difficult to obtain an overall impression, except from the Fossar de les Moreres and the Plaça de Santa Maria, both of them former burial grounds. The latter is dominated by the west end of the church with its rose window. Images of Saint Peter and Saint Paul occupy niches on either side of the west door, and the tympanum shows the Saviour flanked by Our Lady and Saint John. The north-west tower was completed in 1496, but its companion was not finished until 1902. In contrast with the exterior, the interior gives an impression of light and spaciousness. It is of the basilica type, with its three aisles forming a single space with no transepts and no architectural boundary between nave and presbytery. The simple ribbed vault is supported on slender octagonal columns, and abundant daylight streams in through the tall clerestorey windows. The interior is almost devoid of imagery of the sort to be found in Barcelona's other large Gothic churches, the cathedral and Santa Maria del Pi, after the fire which occurred in 1936 during anticlerical disturbances. Amongst the most notable of the works destroyed at that time was the Baroque retable by Deodat Casanoves and Salvador Gurri. 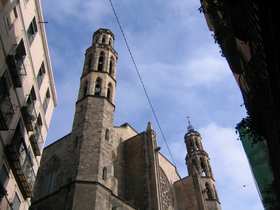 El Born is a favorite area for lovers of Barcelona nightlife. Nowadays the Born is even more packed with bars, though it's nice that places like the Miramelindo are still there, largely unchanged. Is was also a site of the executions and witch burning in medieval times. 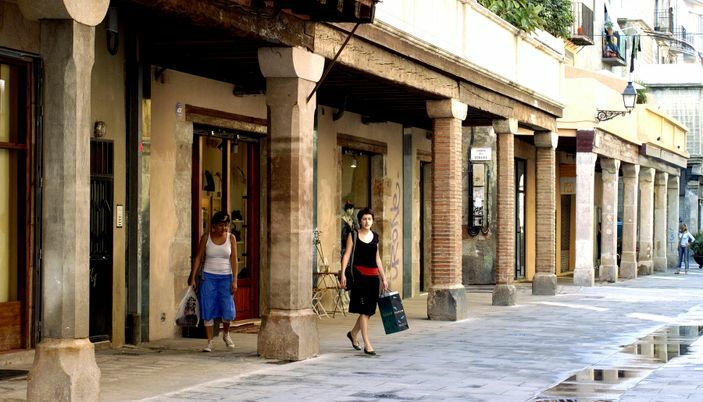 Do not miss it and walk along its narrow streets full of very fashionable stores and restaurants. On the way from the Palau de la Musica Catalana, you should get a glimpse at the Santa Caterina market. It is right on the way and the roof work is definitly worth the detour.